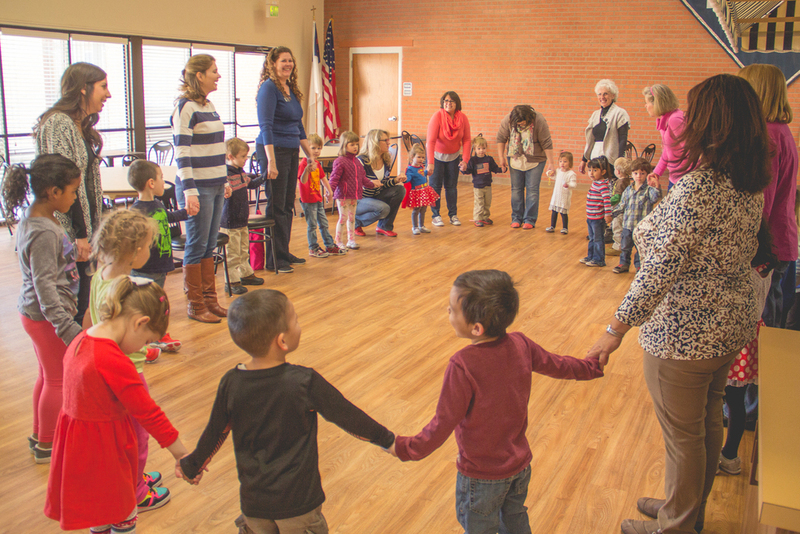 To nurture and support children and families and to provide a high-quality preschool experience in a Christian environment. 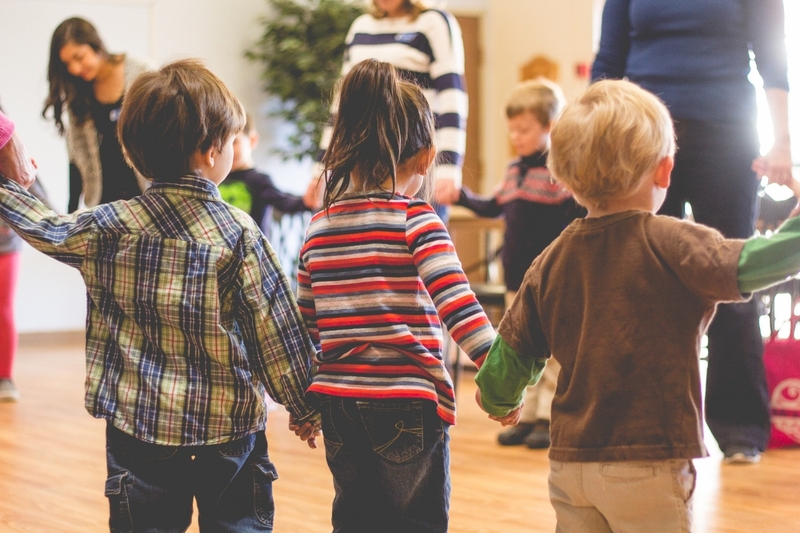 St. John's Preschool Plus has served the early education needs of the neighborhood and community for over 35 years, offering an excellent preschool program for children from 12 months to 4 years of age. Each one of our highly qualified and trained staff members is certified in both Red Cross First Aid and Child CPR. In addition, each staff member completes 24 hours of continuing education every year. Both part-time and full-time enrollment schedules are available. Meet the team dedicated to providing the best preschool education for your child. Hello! My name is Carmen Vargas, and I have the privilege of being the Director of St. John’s Preschool Plus. My husband and I have been married for thirty years, and God has gifted us with three children. I have worked in the early childhood education field for over twenty-two years. I am blessed to be a part of such a solid and wonderful program. I am working toward my degree in Early Childhood Multicultural Education with a concentration in program administration. Early childhood education is my chosen profession and where my heart is. Thank you for allowing us to be a part of your child’s life. My name is Kay Snyder, and I am privileged to be the office assistant and one of the floating teachers at St. John’s Preschool. I started working at St. John’s Preschool Plus in 2011, but I have been working with small children since 1999. I have a Child Development Certificate in Early Childhood Education and a bachelor's degree in English from the University of New Mexico. I always look forward to working with the delightful children and staff at St. John's Preschool. Hello, I'm Karla Holck, and I work with the Little Lambs. I homeschooled my two sons a total of eighteen years, and my favorite memories are of their toddler years. I feel fully rewarded teaching preschool at St. John's Preschool Plus. At this age, there is so much to explore and so many new things to experience. I value the way children see things differently than adults. I have been working with children for over seven years in Sunday School settings and as a teacher. I have an associate's degree in Early Childhood Multicultural Education from Central New Mexico and am currently pursuing a bachelor's degree at New Mexico Highlands University. My name is Adriana Gallardo, also known as "Ms. A." I am a single bilingual parent of two beautiful daughters, and I have two of God’s precious jewels – my grandchildren. I enjoy spending time with my family, reading my Bible, attending church, going out to eat, and going to the movies. I have been working with children and their families since 2003, and I received my bachelor's degree in Early Childhood Multicultural from New Mexico Highlands University. My name is Debbie Johnson. I have been working with preschool children for over twenty-five years. I have had the pleasure of working most of those years with the Bubbly Bears. I am continuing my education by taking early education classes. My husband and I have been married for thirty-nine years. We have a daughter, son and a daughter-in-law. We also have a wonderful grandson, who attended St. John's Preschool Plus. I enjoy spending time with my family, reading, and baking. My classroom will provide your child with many opportunities to learn and grow. My classroom is well-rounded with a focus on socialization, manners, skills, and preparing for Pre-K. It is a privilege to be your child’s preschool teacher – thank you for entrusting me with your child. My name is Andrea Sills, and I am a teacher assistant in the two-year-old classroom. I graduated from Central New Mexico Community College with my Associates in Early Childhood Multicultural Education. I have a combined total of 10+ years of teaching children from birth to preschool age. I have always had a heart to pour into the next generation and have found teaching children very rewarding and a great way to help shape the future. I moved to New Mexico in 2014 for my husband’s job, we are originally from Boise, ID. My husband and I have three daughters, my oldest two girls are attending college with one at UNM and Boise State University, and my youngest is in high school. In my spare time I enjoy running (I have run two half marathons), hanging out with my family and my four dogs. I am thankful for this opportunity to get to know all the families that make St. John’s Preschool such a great place to teach. Hello, my name is Margaret Duran. I have a bachelor’s degree in Child and Family development from San Diego State University. I also have a minor in sociology with training in special needs children. I know that God has drawn me to early education and that is why I love teaching. I feel blessed to share the love of Jesus with such small children each day. When I am not teaching I am at home with my three small children, husband and three dogs. We love to be outside, relaxing with extended family, and just having fun no matter what we are doing. My name is Amanda Hallett. I have a bachelor’s degree in Early Childhood Multicultural Education from the University of New Mexico. I have been working in the field of education since 2007, and I have been at St. John’s Preschool Plus since April, 2015. I love what I do, and working with children is my passion. What I love most about my job is being able to share the love of Jesus with my students. Hi, I am Julie Bencoe. I have recently retired as a Kindergarten teacher from Albuquerque Public Schools. My husband and I have three grown children and we are proud to be new grandparents to two little girls. This will be my second year of being a part-time employee at St. Johns Preschool Plus. Last year I fulfilled the position of a floater. I am looking forward to being a substitute this year in an enriched, Christian environment with such talented staff members and loving children. Hello Families! My name is Kerrina Rodriguez. I’ve been a preschool teacher for over 6 years and I am currently in the process of obtaining my degree in Early Childhood Multicultural Education. God has blessed me with a wonderful family that includes three beautiful children ages 20, 13 and 9. I am a firm believer in play based learning with a strong emphasis on social and emotional growth as well as sensory development. The best way to ensure a successful preschool experience for our families is through communication and collaboration. I look forward to spending the year with your child and watching them flourish in a loving environment that will allow them the space, support and encouragement to be their best selves. Thank you for allowing us the opportunity to be such an instrumental part of your child’s development. I look forward to meeting each and every family that we are so grateful and blessed to have at St. John’s Preschool Plus. Hello friends, I am Ms. Barb. I am the chapel and music teacher at St. John’s Preschool Plus. I have been here for the past four years, but I also taught here when my kids attended Preschool Plus! I was born and raised in Albuquerque, and I attend church at St John's United Methodist Church. I have been married for thirty-six years. I love dancing and singing and praising Jesus with your precious children.